Ok guys, so by this point I’ve shown you the invitations and the place tiles, and I’m going to try to make this as short as possible so – welcome to my best friend’s Moroccan Bridal Shower! 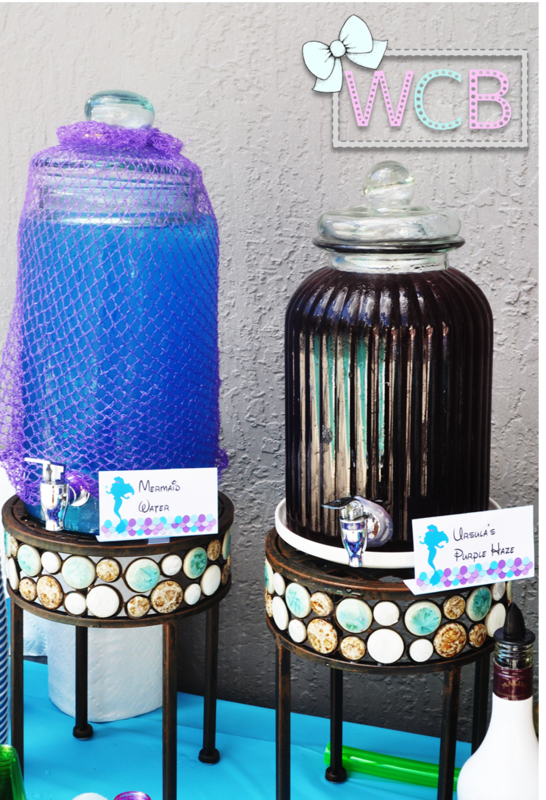 Michelle had mentioned she wanted a Moroccan themed bridal shower before she was even engaged, so I knew that would be the theme, BUT it usually comes with an extremely colorful scheme. When I started my Pinterest board, I tried to focus on the ideas that had the most white, orange and pink to make it more bridal. And then, Michelle fell in love with rose gold, so that became the main accent color next to the white. Custom Glasses: when Marta and I were looking into tableware, I didn’t want to have plastic cups because they would cheapen the look, and then I remembered the acrylic stackables I used for my Friendsmas party a couple of years back. 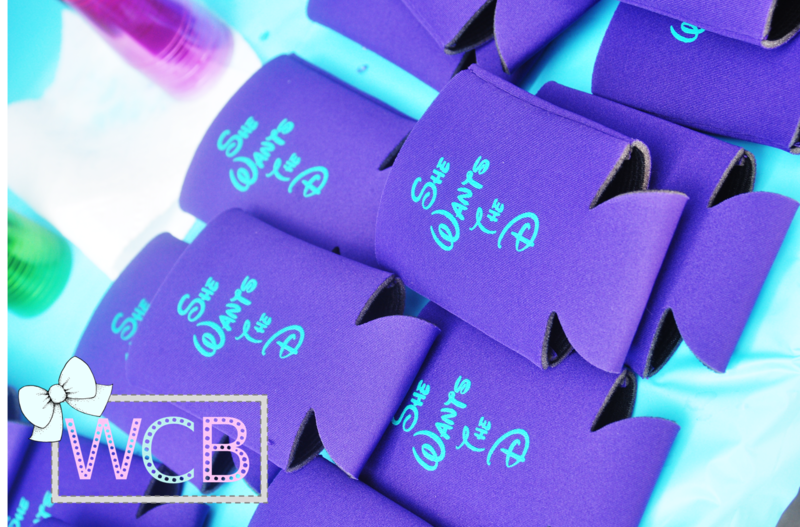 The problem was, people don’t usually keep track of their cups at parties, so I decided to use vinyl to put their names on it, solving the missing cup issue and also adding a favor they could take home! Win, win! Games: I asked the rest of the bridesmaids to help me figure out games that were fun, and we came up with: wear the ring and don’t say bride/Michelle, how many kisses in the jar, Michelle trivia, and find the groom (a picture of Brian hidden somewhere in the party, which he hid himself and it was hilarious!) The prizes were baskets filled with a small bottle of Rosé, a picture frame, a notepad, and a pen – all rose gold of course. Guestbook: since Michelle didn’t want to have a traditional guestbook at the wedding, I thought it would be cute to get her a photo book with pictures of her whole relationship with Brian, and ask guests to fill it with advice for her. She absolutely loved it and it wasn’t a big expense since Shutterfly constantly runs free album offers, so all I had to cover was shipping (plus a few extra bucks for a specific theme that had rose gold, of course). 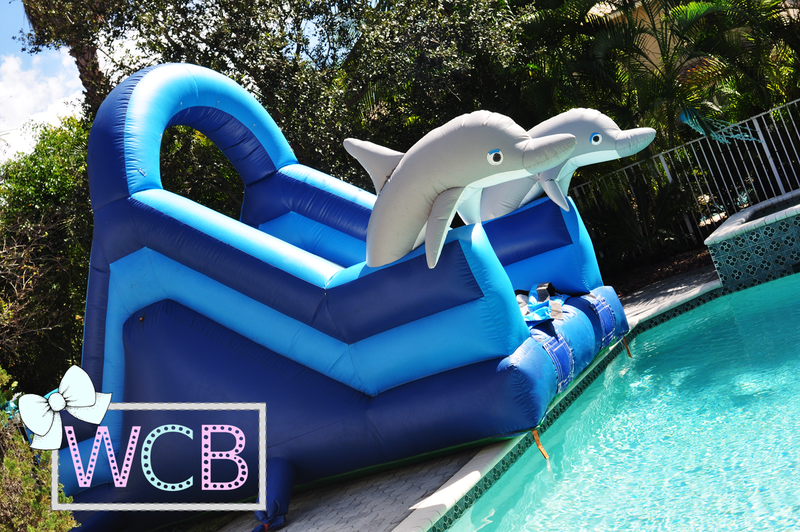 Setup: from the moment I started thinking of the party, I knew that I wanted it to be in my backyard because I had a very specific vision of the table setting around the pool, with a tent for the weather + vibe. It all came together so nicely and Michelle kept telling me she thought the layout was genius, and she loved it all! With a little math figuring out table sizes and organization, it all worked out great! Snapchat Geo-filter: after Michelle’s engagement party, her sister Andrea was like “we forgot the filter!” and ever since then, I had a mental note to do it for the bridal shower. I worked with DesiPaperThings on Etsy to bring it to life, of course, in white and rose gold. The weather: the amount of wind we got that weekend, we’ve seen only for tropical storms. It was INSANE. The setup was a mission, the tent people got there late because they had to buy sandbags for everyone they set up that day, and it was madness. We also got some rain the morning of while we were setting up the linens, but thanks to the unruly wind and the sun that came out later, everything dried off in time for the guests’ arrival. A table flipped: the wind was so crazy that one of the tables flipped AFTER we had set it up with plates/place tiles/cups (and we used bottles of water and the tiles as weights to prevent things from flying off, but this entire table fell into the pool). Michelle’s dad helped us fish everything out of the pool, but a couple of the place tiles remained under water until the next cleaning… Action shot of the fishing out! ALL IN ALL – amazing time, so happy with how it all turned out, and I know Michelle enjoyed it so: Mission – ACCOMPLISHED! 5 Settings to Use on VSCO to Improve Your Pictures! Hello shutterbugs! This post can be useful not only for product pictures but also for shots of humans and landscapes and really many types of photography! I’m a huge fan of the VSCO app for editing all kinds of images on my phone, and I’m going to share the top settings I play around with to get my pictures to look almost professional. I remember when I first started taking pictures of my products for my Etsy shop, I thought I was killing the game, and now looking back I realize how lost I was. What helped? Things took a turn for the better once I took Hilary Rushford’s “Instagram With Intention” free online workshop, where she introduced us to VSCO (I’m a big advocate for taking any and all free seminars you see offered, there’s always something to learn and you have nothing to lose, especially when they’re free. If it just so happens that you like what you hear, you can subscribe or get a membership to keep getting useful content). Without any further ado, let me share the very basic but completely life-changing tips I learned from Hilary and immediately implemented to my picture-editing game. Let’s keep this interesting with a step by step example: pizza picture please! Natural light: this is an obvious one for many (and not a VSCO setting, but I got you guys with a bonus later) but the perfect foundation for good pictures is to take them in natural light – aka, not being hit by direct/yellow light, but placed where it would receive a diffused, indirect “bath” of light. Check out this original shot of a yummy pizza in what looks like natural light. Nothing wrong with it, but it’s definitely not Instagram ready. Yet! Exposure: exposure is the vert first setting option, and it stands for the amount of light you want to add or remove from your picture, or how much light you’d want it “exposed” to. I usually move the dial to the right on average to +2-3.5 as shown in the picture, so that it looks like it was professionally lit, and that sometimes helps diminish imperfections as well. Play around with the button and always start off small, because there is such a thing as “overexposed” pictures. This is going to make the pizza look a little pale because there was already light, but the combination of edits is what does the magic. Contrast: the contrast feature strengthens the properties of each color, making the light tones lighter, and the dark tones darker. This one is also good to keep at +2-3.5. Saturation: saturation is here to make your colors look extra alive! Now, this one I’m super extra careful with, because it usually brings in a strong yellow/orange aura to the picture. So you can play around it and keep it around a +1.5-2.5. The pizza is ready to pop off the screen, but it almost looks like it was under a lamp light to stay warm. Not good yet! Temperature: to the left, to the left! The solution to most of your yellow/orange problems is to make the picture colors “cooler” in tone, so literally lowering the temperature will bring on the blue hues. Don’t go too far, just enough to see yellows turning white is perfect. A -1 or -2 usually does the trick. Now those are the ones I use pretty much for almost every picture edit, but not all pictures are created equal and there’s no one size fits all edit. These are not filters, these are enhancers that work under your guidance to get the tones jussssst right, on an individual basis. But this picture is not perfect yet. The light colors are now a little too light, and it has lost some of the detail. Since I’m more used to playing with the app now, I know exactly what to do next. In this case, I’m going over to the “Highlights” feature. I moved this one up to +10, but I really have no parameters for it since I seldom use it. See how now there are more spots in the cheese? All the colors garnered strength again. And now, our pizza is ready to get all the glory of Instagram and make your followers salivate. Let’s see the before and after, side by side. Shall we? Now, the first picture almost makes it look like the pizza was in the oven for a little too long, but the second one literally has me ready to #TBT in real life and go back to that magical moment before having it. Anywho, I’m no foodie blogger or expert picture taker, but I definitely saw a huge improvement in my pictures over time, and my feed got much, much prettier. The other secret for me has been the white background. That’s a product photography staple, and as much as I tried to fight it at first, it’s simply perfect. I hope these tips help elevate your picture game and if you have any suggestions on other features to use, please drop them in the comments below! Time sure does fly! 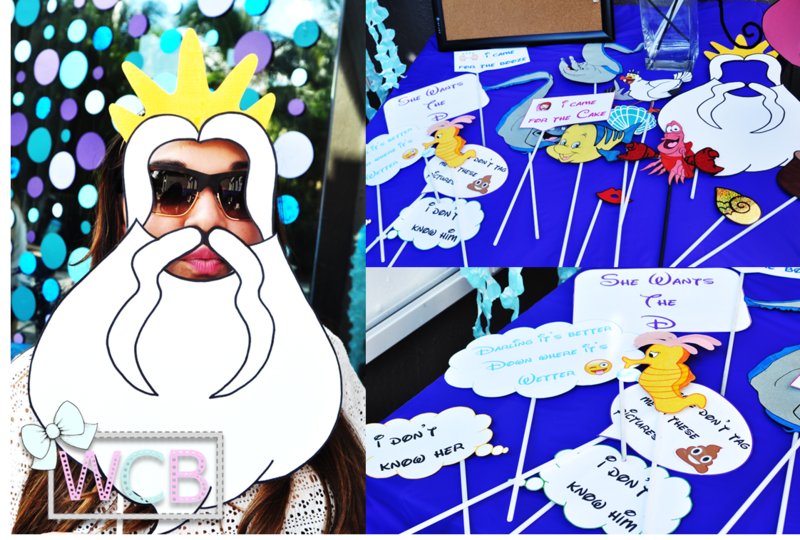 A little bit over a year ago, my friend Silvia and I were planning her beautiful and memorable “Ahoy it’s a boy!” nautical-themed Baby Shower for little baby Max, and here we are, celebrating his first full turn around the sun! 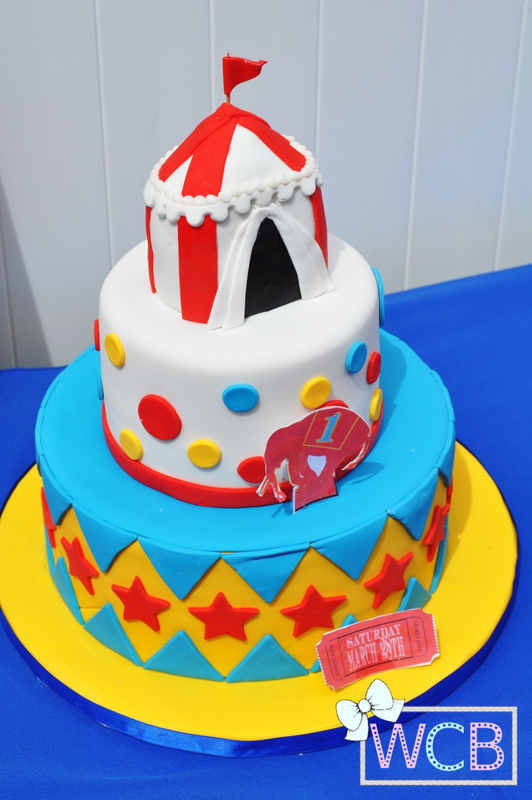 She chose an adorable circus theme for the occasion, and executed every detail impeccably! The weather wasn’t playing along too nicely at the beginning of the day with some serious wind gusts that kept knocking things down, but it ended up being a good thing because the South Florida heat can be very unforgiving, and we were all refreshed with the breeze. Max had an absolute blast, playing with all the props, trying all the delicious foods (and boy did he love the sugar rush! ), and more than anything else, dancing the day away! Turns out, Max has quite the moves and dances along to any genre – and he happily entertained his guests with some smooth moves all day long. 1. 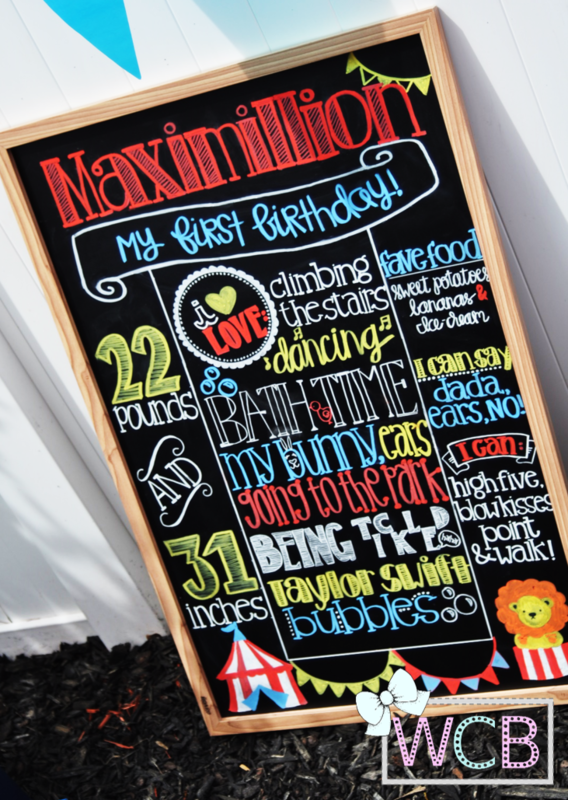 The First Birthday Stats Sign – our talented friend Karissa at Kustom Kreations by K put together this STUNNING first birthday stats sign that listed all of Max’s physical and personal characteristics. 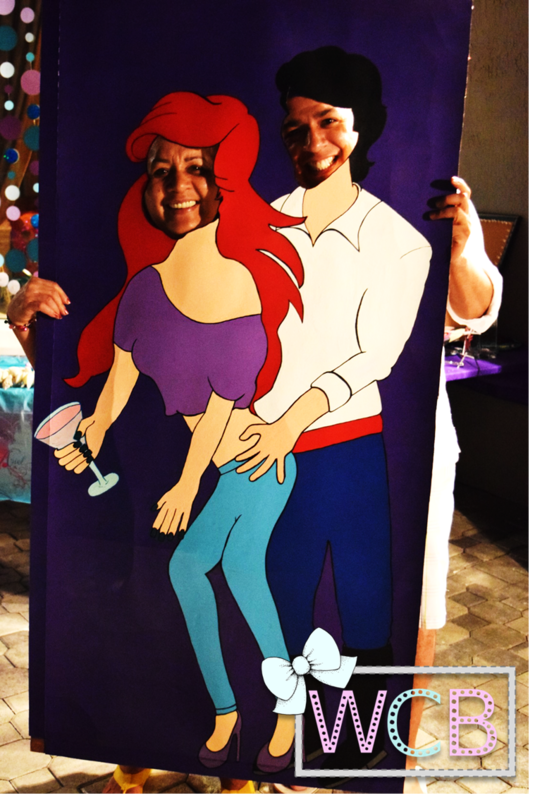 The attention to detail was unbelievable, and the board was the perfect complement to every single space of the party. Can’t say enough good things about it! 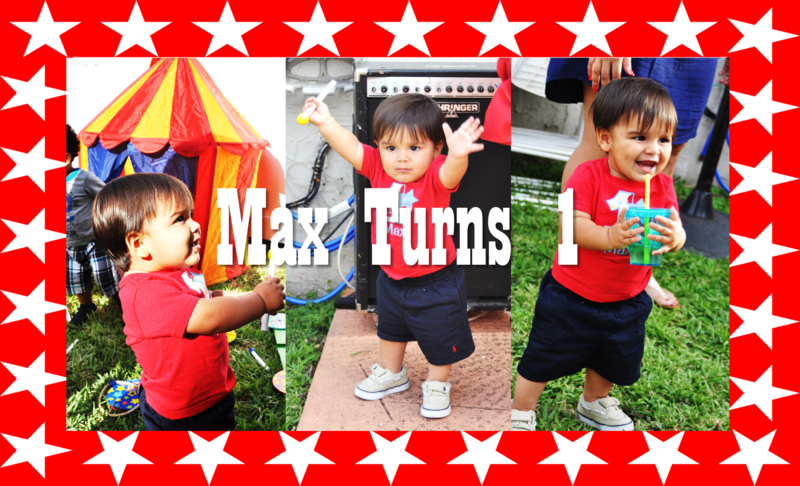 The sign was also used for Max’s first birthday shoot, and the pictures were part of the decor too. Amazing job Karissa! 2. The cake – you could say Silvia and I are huge fans of our friend Hector at Cakes, Desserts & Beyond (he made my Modern Ariel birthday cake that I’m still dying over, and also this Star Wars-themed cake for Silvia’s husband’s 30th birthday) and who can blame us?! 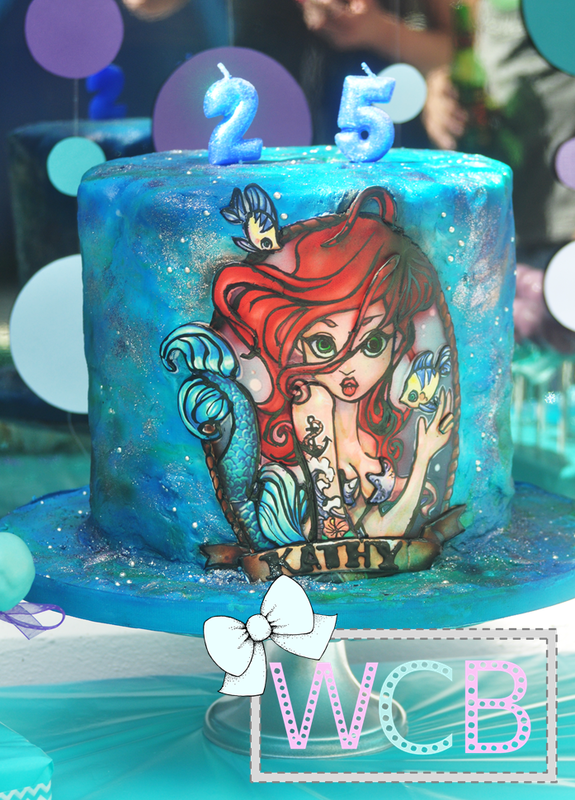 His cake creations are not only beautiful on the outside, but truly delicious and worth every bite on the inside. Max’s beautifully detailed circus-themed cake had a nutella and strawberry filling and I’m going to stop the description right here because I am getting a sugar rush just thinking about it. It was soooo good! 3. 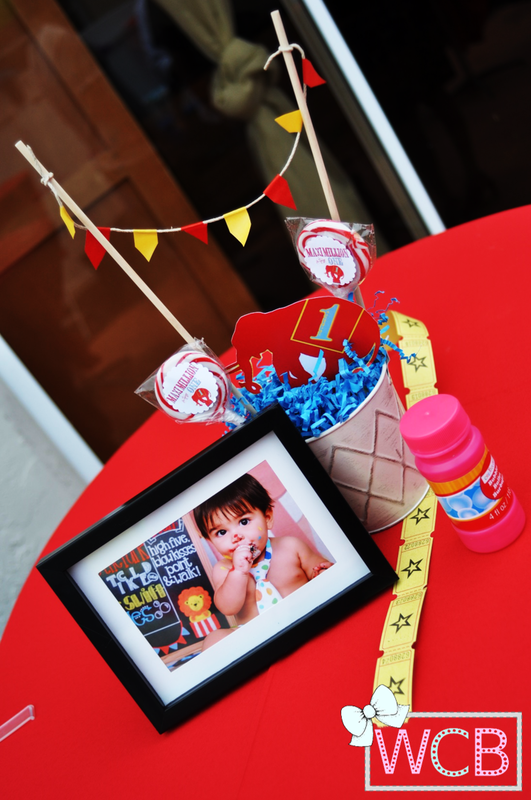 Centerpieces/Decor – Silvia put together the most adorable centerpieces using photos from Max’s first year photoshoot, and some allusive circus items for each table. There were also lots of details throughout the party like Max lollipops, popcorn, cotton candy, souvenir cups, clown noses, admission tickets, bubbles, circus signs, a mini tent – the list goes on and on. Everything was so fun and had the circus feel all around. 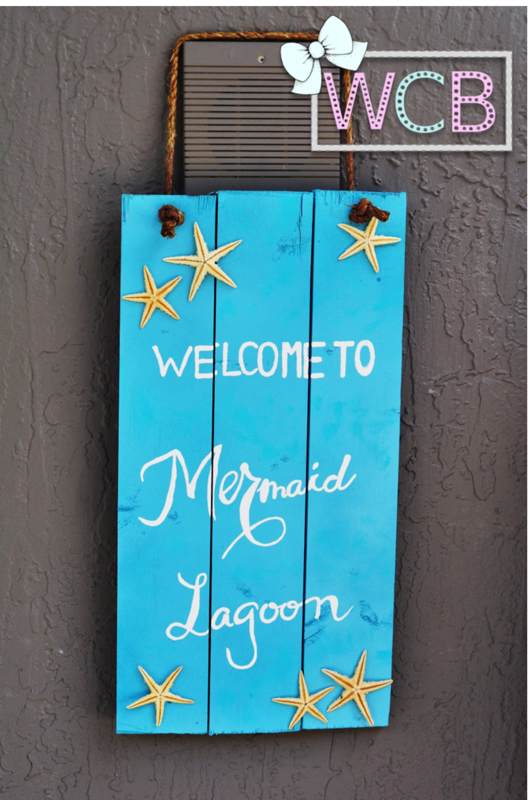 Breathtaking venue with the beach just a few steps away! 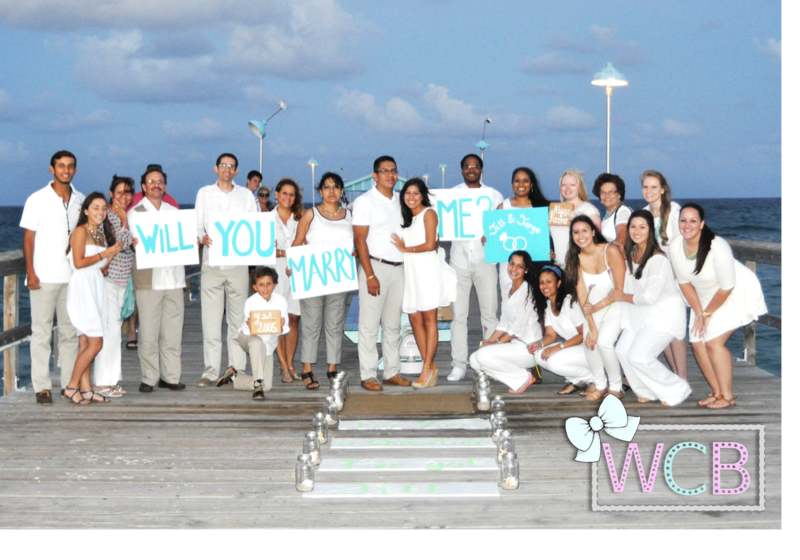 Getting married with that view… Priceless!